January, 2018 is a big month for The Moon. We will see a full moon twice (the second is a blue moon). Each full moon will also be a Supermoon. That’s when The Moon reaches it’s closest point to The Earth, and appears to be bigger and brighter. To finish the month, a total lunar eclipse will occur… The Earth will cast a shadow on The Moon. The Moon is keeping pretty busy to start the new year. But, what about other moons in our solar system? What have they been up to lately? 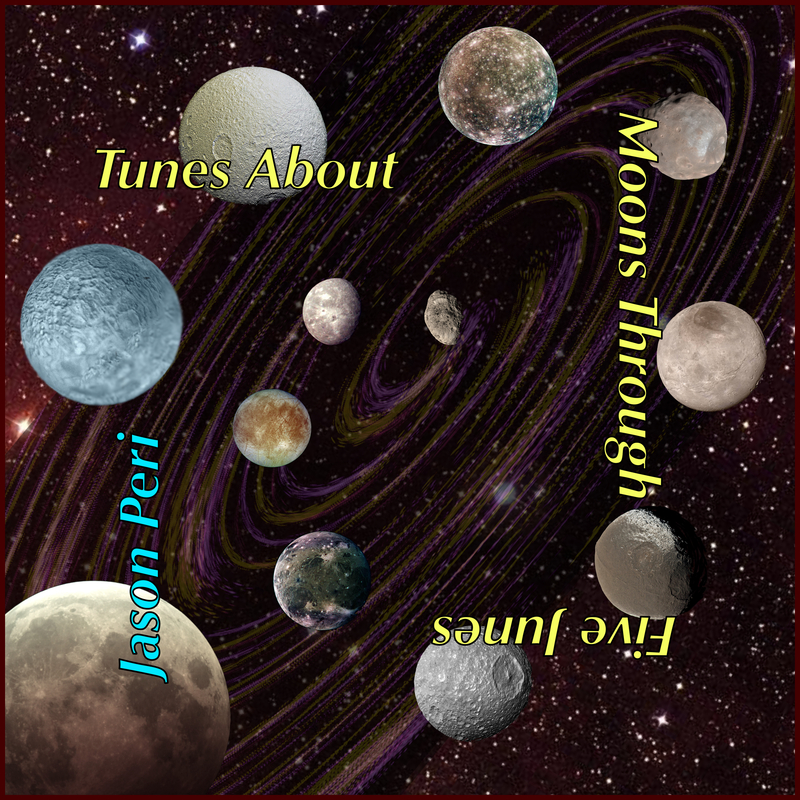 I don’t have any answers to that question, but I have recorded some new music to honor some of my favorite moons — 12 new instrumental tracks, collectively known as Tunes About Moons Through Five Junes. This album was recorded entirely on an iPad, using the GarageBand app. No outside sounds or controllers were used. It began in 2012, when I noticed GarageBand on my new iPad. I thought it looked like a fun music app, but not a serious music creation tool. I started to experiment with it, and came up with several new songs. The app was difficult to use, but I enjoyed the various functions. Still, it was frustrating to use the app, so I only used it now and then. The songs were coming along very slowly. I upgraded my iPad twice since then, and with my current version, the large iPad Pro, I found that I was able to get much more mileage out of GarageBand. With a larger screen, more processing power, and some new features, the songs I had been struggling with had become part of a serious album project. Now, five years later, it’s here! Tunes About Moons Through Five Junes is dedicated to all the moons in our solar system. And, if there is life on any of those distant worlds, I hope they have music streaming technology.